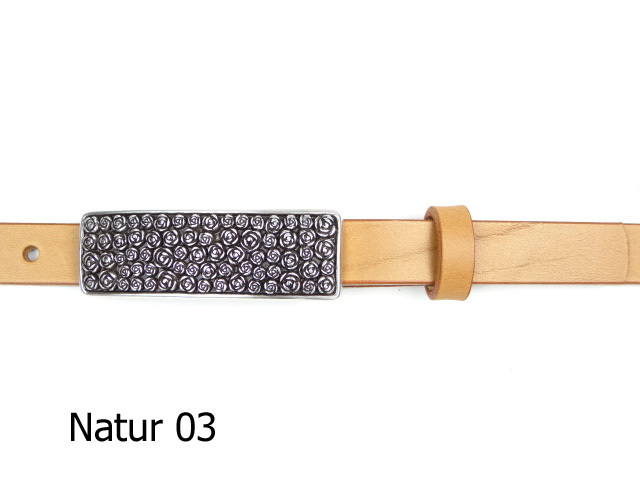 Leather belt made from naturally tanned, through-dyed premium cowhide. 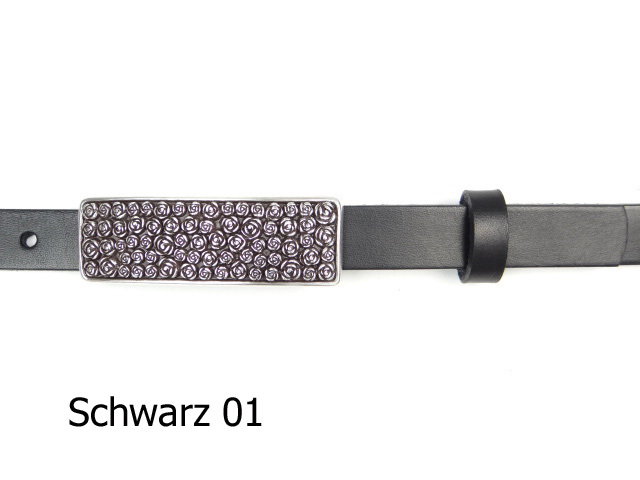 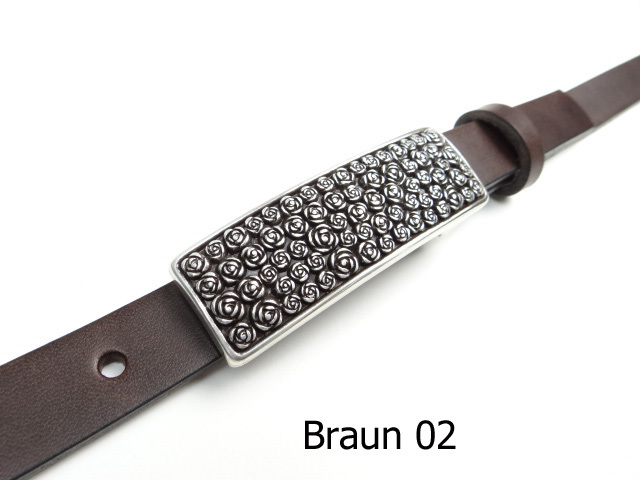 Silver-plated, nickel-free buckle with an elegant flower design. 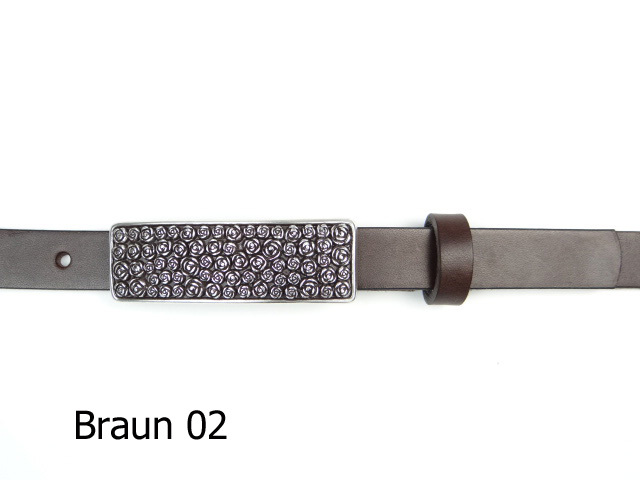 This belt is available in black, brown or tan.